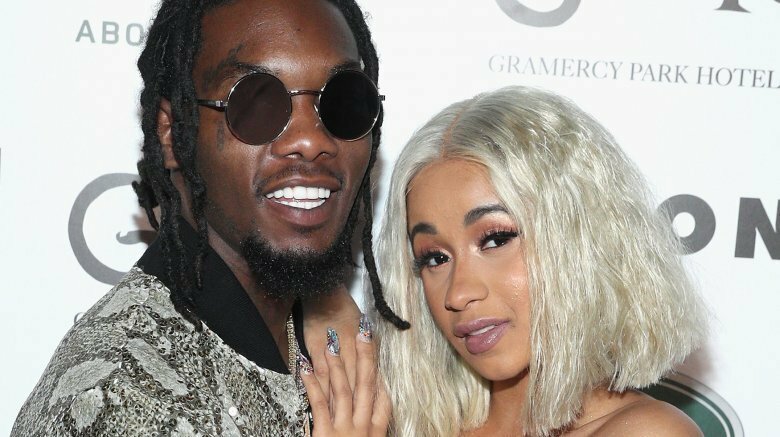 Migos rapper Offset's latest move to win estranged wife Cardi B back didn't go exactly to plan. On Saturday evening, Dec. 15, 2018, the "Ric Flair Drip" rapper shocked fans when he crashed his ex's headlining gig at the Rolling Loud Festival in Los Angeles following their recent split to publicly beg for her forgiveness, TMZ reports. In video footage obtained by the gossip rag, Offset (real name Kiari Kendrell Cephus) appeared to walk out on the stage in the middle of Cardi B's set. Accompanied with flower arrangement signs, which read, "Take Me Back Cardi," he said, "I just want to tell you I'm sorry, babe." For her part, the "Bodak Yellow" rapper understandably appeared less than pleased by the interruption — as were a number of social media users, who were quick to slam the public stunt. "Fellas. Don't ever show up at your woman's job to try and apologize/win her back," one person tweeted. "Matter of fact…avoid doing any grand public gesture to apologize/win her back. It's manipulative." Meanwhile, another Twitter user wrote, "What offset did was manipulative and borderline abusive and y'all who are mad at Cardi for not taking him back are simply exposing how much work we need to do to educate folks on mature and healthy partnership." As Nicki Swift previously reported, Offset, 27, and Cardi B, 26, secretly tied the knot last fall. However, the former couple, who welcomed their first child together, daughter Kulture, in July 2018, called it quits earlier this month. "Things just haven't been working out between us for a long time and it's nobody's fault," Cardi B (real name Belcalis Almánzar) told her fans on social media at the time. The "I Like It" rapper, who recently shared the first photo of their adorable baby girl, added, "I guess we grew out of love, but we're not together anymore." 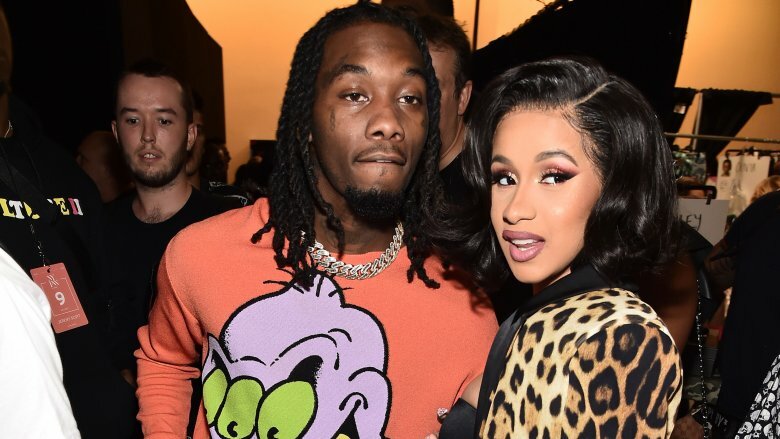 Readers may be aware that Offset was hit with a round of cheating rumors soon after their high-profile breakup, when model Summer Bunni publicly apologized to Cardi B for their alleged affair. On Friday, Dec. 14, Offset addressed the infidelity claims in an emotional Instagram video, saying, "I was partaking in activity that I shouldn't have been taking in, and I apologize … For breaking your heart, for breaking our promise, for breaking God's promise, and being a selfish, messed up husband … I didn't f**k that girl, but I was entertaining her, you know what I'm saying?" In addition to apologizing, Offset noted, "I only got one birthday wish and that's to get my wife back, Cardi." Following the backlash against Offset this weekend, Cardi B came to his defense with a now-deleted video on Instagram late Saturday evening. "Guys, I just want to say thank you so much for everybody that's been supporting me, that been loving me, and that feel like they need to defend me," she said in part in the clip, but added, "Violating my baby father is not gonna make me feel any better, because at the end of the day, that's still family. Unfortunately, we going through things and … it's not private, it became public … and I just want things to die down." In a follow-up message, the "Be Careful" rapper added, "I'm not saying that I'm gonna get back together with him, I just don't like that bashing online thing." She went on to reference Saturday Night Live star Pete Davidson's alarming Instagram post this weekend. 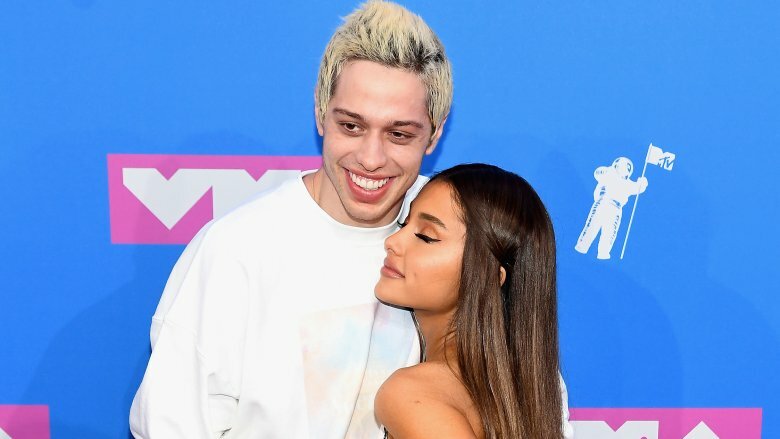 The comedian sparked widespread concern when he appeared to be experiencing suicidal thoughts after being bullied online in the fallout of his split from pop star Ariana Grande. "You just saw how Pete Davidson was talking about how he don't even want to be on this earth because mad people be coming at him every single day. I wouldn't want my baby father to have that feeling because of millions of people be bashing him every day." She added, "That's a nasty feeling and I wouldn't want that." For his part, Offset has also since defended himself on Twitter, writing on Sunday afternoon, Dec. 16, "All of my wrongs have been made public, i figure It's only right that my apologies are made public too. A ni**a was just trying …..thank god I ain't got no balloons sheeesh."